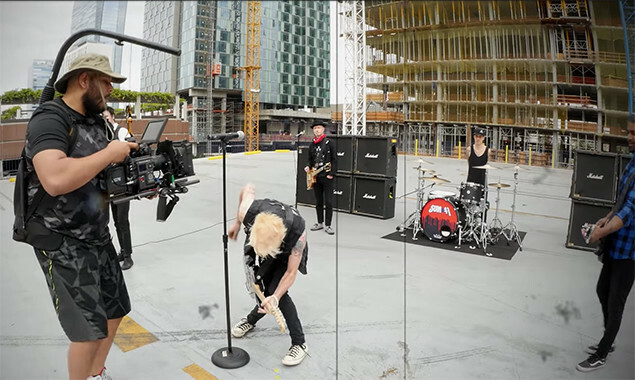 Wonder how Sum 41 made the video for 'Fake Your Own Death'? You know, the one in which Kim Kardashian, Donald Trump and a bunch of memes attack them? Their first album in five years is titled '13 Voices' and will be out on October 07 via Hopeless Records. "I am really excited to be releasing an album after everything I've been through recently," said Deryck. "This new music represents the journey I've been on throughout the process of making this record." "I had to fall in order to rise, and nothing feels better than to have something you love that you had to really fight for. I can honestly say that 13 Voices saved my life and I cannot wait to share it with all of you."